JetBlue announced it intends to launch multiple daily flights from both Boston and New York City to London in 2021 (subject to government approval) – the carrier’s first European destination. The new routes, which will be served by Airbus A321LR single-aisle aircraft with a reimagined version of Mint, will mark the first-ever transatlantic service offered by the award-winning airline. JetBlue is evaluating which London airports it will serve. JetBlue’s entrance into the transatlantic market will introduce a new era of customer-focused, low-fare travel for both leisure and business travelers. 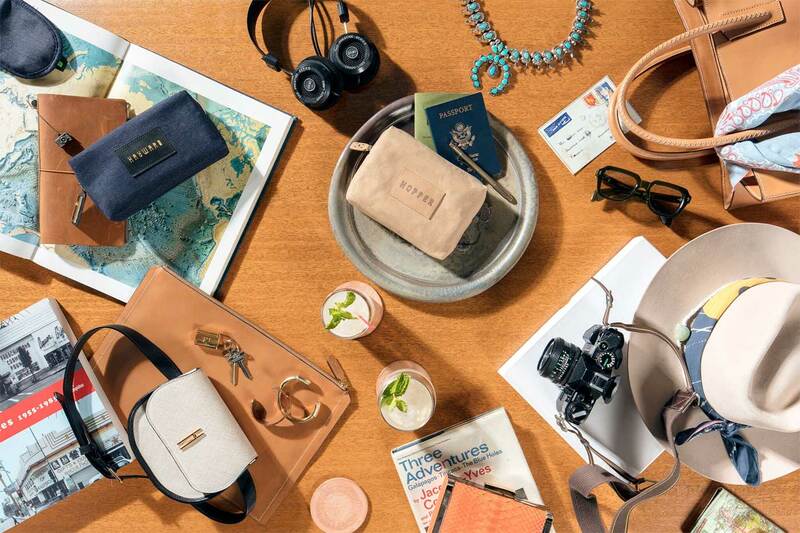 The airline’s Mint premium experience, promises to offer transatlantic customers a fresh choice. JetBlue is developing a reimagined, transatlantic version of its premium Mint product which will feature more lie-flat seats than currently offered on the airline’s existing A321 aircraft. 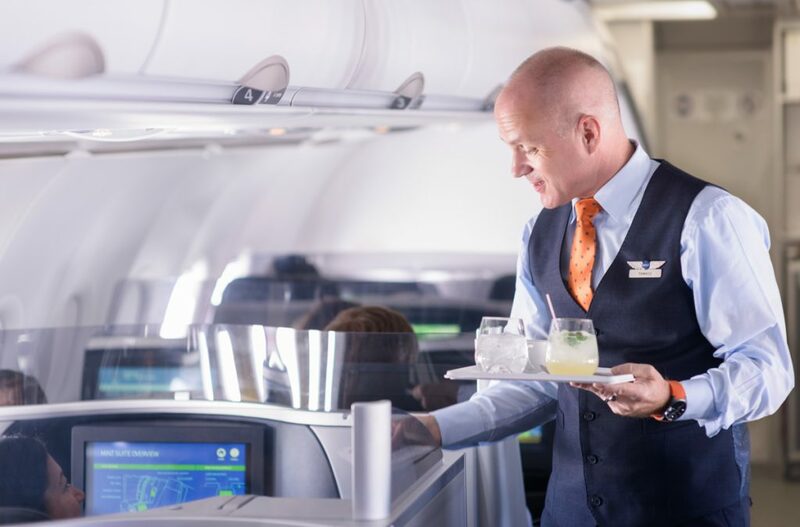 Transatlantic Mint product features and design elements, combined with JetBlue’s specially trained Mint inflight crew members, will create an intimate and exclusive travel experience. 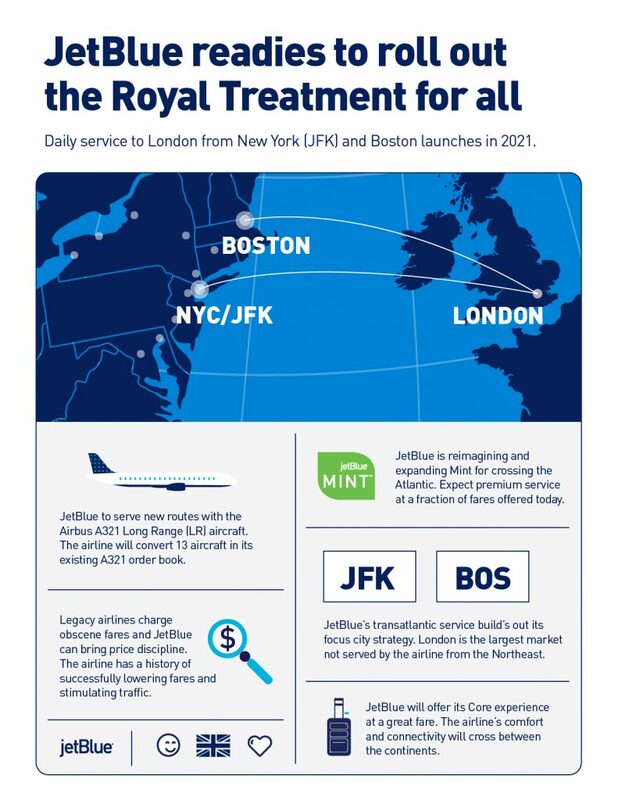 Like its transcontinental Mint business model, JetBlue will offer the elevated flying experience for a fraction of what other airlines are charging today for premium seats. Premium Mint service on board one of JetBlue’s transcontinental flights. Image: JetBlue.